This article covers the installation and use of Jenkins plugins. The assumption here is that you have followed Jenkins Setup to install the latest version of Jenkins2, which went Version 2 April 26, 2016 after over 10 years at v1. Click Installed tab to view what has been installed already. On a Mac, the jenkinshome is ~/.jenkins. View the Wiki on Plugins. PROTIP: The wide variety of plugins is why Jenkins is popular. Click on a category (such as “.NET Development”) to contract or expand items in each category. In the Filter field at the upper right of the screen, type “Green Balls”, which is one of the most popular among DevOps people who can’t stand that the Jenkins default for healthy (successful) is blue, not green. ( due to a historical/cultural artifact). PROTIP: When a plugin is installed, Jenkins removes that plugin among the “Available” and shows the plugin among the “Installed”. Return to the previous screen: Hit the browser return key or command + left arrow. PROTIP: Instead of clicking plugin names, right-click to open link in New Tab on your browser so a tab with the Jenkins icon remains among browser tabs. Return to the root console page (by clicking “Jenkins” at the upper left corner). Click “S” among “S M L” under the icons to show Small icons. Jenkins has plugins for many SCM systems: Accurev, Bazaar, BitKeeper, ClearCase, CMVC, Dimensions, Git, CA Harvest, Mercurial, Perforce, PVCS, StarTeam, CM/Synergy, Microsoft Team Foundation Server, and Visual SourceSafe. NOTE: “Hudson” is still referenced even in Jenkins2. Just ignore it. Check “Display SCM Sync Status”. to provide Git client functionality on Jenkins servers. Click Yes to “Are you sure”. “Please wait while Jenkins is restarting”. [1:41] Create a Jenkins Freestyle project, OK.
[2:01] The Source Code Management section, select Git. [2:15] Enter your repo, with the .git at the end. NOTE: When done on my Mac Terminal, this returns nothing. [2:15] If your repo is private, provide your SSH keys. Instead of manually clicking through the Jenkins UI, the Pipeline plugin in Jenkins 2 by author Jesse Glick (@tyvole) reads a text-based Jenkinsfile Groovy script code checked into source control. NOTE: This was part of Cloudbees licenced features, but released in open edition. Enter item name and click “Pipeline”, then OK. (“Orchestrates long-running activities that can span multiple build slaves. Suitable for building pipelines (formerly known as workflows) and/or organizing complex activities that do not easily fit in free-style job type.”). Among Build Triggers click “Build when a change is pushed to GitHub”. DEFINITION: The word “slave” has been replaced with the word “agent”. DEFINITION: A node is a step that schedules a task to run by adding it to the Jenkins build queue and allocating a workspace (file directory) on that node for the duration of the task. As soon as an executor slot is available on a node (the Jenkins master, or a slave), the task is run on that node. Click “Advanced” and type the Display name, “Box” in our example. Click “Pipeline” tab to bring that section up. Select from the “try sample” pull down “Hello World”. Click Save for the item screen. Double-click on “Build Now” (in rapid succession). NOTE: Text in headings were specified in state keywords in the Groovy script above. PROTIP: Only click once on Jenkins links or two executions will result from a double-click. Cursor over one of the “ms” numbers (for milliseconds or thousands of a second) in the green area and click the Log button that appears. A pop-up appears with the text specified by the echo command within the Groovy script. Click the “X” at the upper-right of the dialog to dismiss it. To remove the menu on the left, click “Full Stage View”. PROTIP: The “full stage view” will be needed when there are more stages going across the screen. click the item/job name in the breadcrumbs or press command+left arrow. Notice the number in the URL corresponds to the number listed. PROTIP: The time of the run is the server’s time, not your local time on your laptop. Click “Console Output” for log details created from that run. NOTE: Each plug-in has a .jpi binary file for each folder which contains a META-INF and WEB-INF folder. Loop until no open dependencies are left. 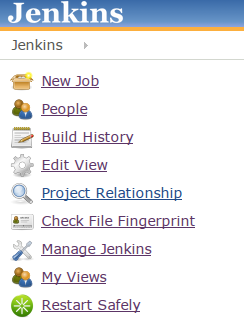 In the Manage Jenkins menu, click Configure System. Check Environment variables under the Global properties section. In the name value, type “PATH”. In the value field, type “$PATH /usr/local/bin” for Linux or OSX. Lists of top Jenkins plugins online: more plugins below. Some install the SafeRestart plug-in which adds the Restart Safely option to the Jenkins left menu to avoid needing to be at the server console at all. https://wiki.jenkins-ci.org/display/JENKINS/Clone+Workspace+SCM+Plugin clones Jenkins configurations for re-use in other projects. 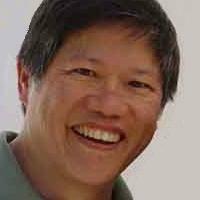 QUESTION: Are there more plug-ins for JMeter? WARNING: This is no longer maintained, with a large bug list. Check to select “Performance plugin”. Click “Download now and install after restart”. Create a folder to hold the folder created during cloning (such as jmeter or jenkinsci). This contains a pom.xml file for Maven to compile the src folder. Configure the search pattern to select the files to be parsed by the Performance plugin. JMeter generates .jtl files. When no jobs are running, restart the Jenkins server to reload the plugin. Jenkins Plugins was published on June 08, 2016 .